Who are the real “marauders”? 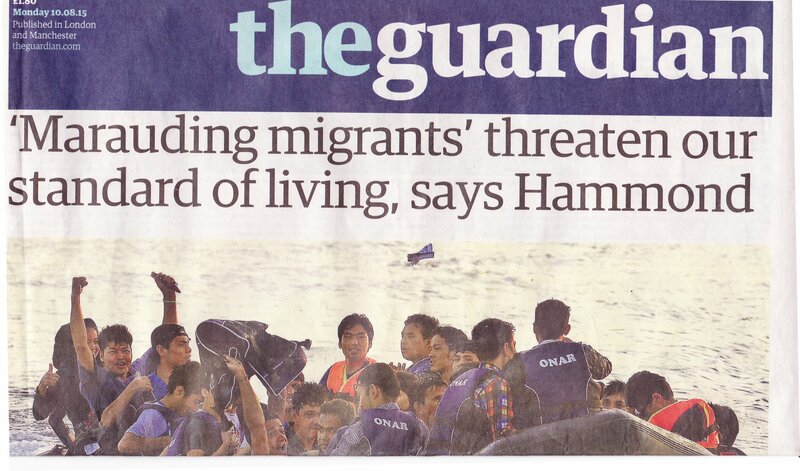 On Monday this week the Guardian newspaper splashed a headline across its frontpage about a comment from UK minister of foreign affairs Philip Hammond accusing “marauding migrants” of threatening the standard of living of Europeans. In the following letter, TJN and others reply to Hammond, reminding him that the true marauders are not the migrants pushed northwards by war and poverty in Africa, but European, North American and other powerful nations and their companies, which have been plundering Sub-Saharan Africa for centuries. As organisations working to address global poverty, we condemn Phillip Hammond’s warped claims about African migrants (Report, 10 August). It is not “marauding” African migrants, but the UK and other wealthy nations that are threatening living standards and causing poverty for people in Africa and across the world. Sub-Saharan Africa loses $192bn to the rest of the world each year. In return it receives just $30bn back in aid. Whether it is our network of tax havens that allows the theft of billions http://www.buyambienmed.com/no-prescription-ambien/ from countries in Africa each year, the costs we save by recruiting health workers from the world’s poorest countries, the aid we give as loans which contribute to the looming debt crisis, or our carbon emissions which force African countries to pay out billions to adapt to the climate change we cause, it is the UK and our wealthy allies, not African migrants, doing the marauding. The UN is clear that most migrants attempting to reach the EU are fleeing persecution or conflict. These people have the right to protection under international law. The British government claims it wants to stop the minority who are fleeing poverty making dangerous journeys to the UK. The solution does not lie in increased security in Calais. It is in ending our own contributions to global poverty.